This is the delux version with reindeer antler handle. 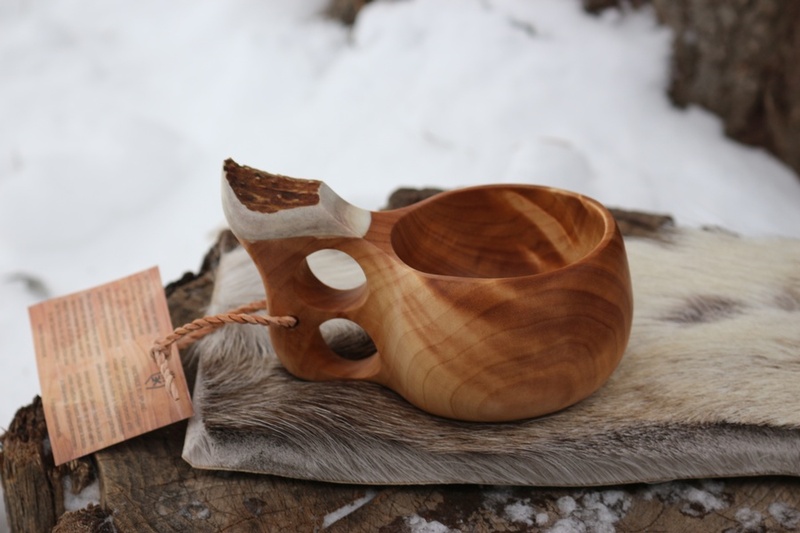 Made in the far North of Finland in Finnish Lappland these are the traditional drinking cups of the Sami. 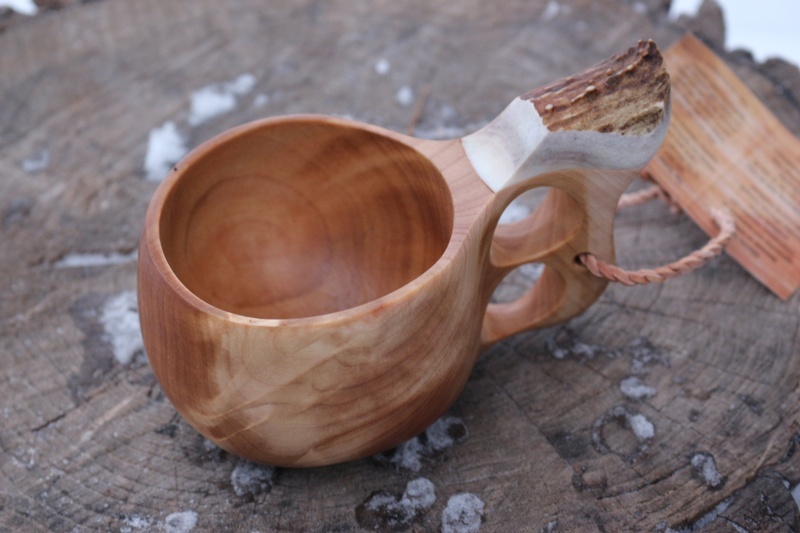 Ours are made using locally sourced 'Birch Gnarl' (or Burl) and keep the traditional design and heritage alive. They are hand made and considered a treasured and practical item, often passed down from father to son, Mother to daughter through the generations. Made in Finland of Birch Burl. 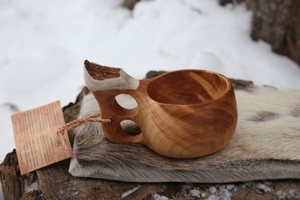 Purchase through PayPal by using the "Add To Cart" button above or use the form below to order the Finnish Lappland Kuksa Delux Double hole Handle . 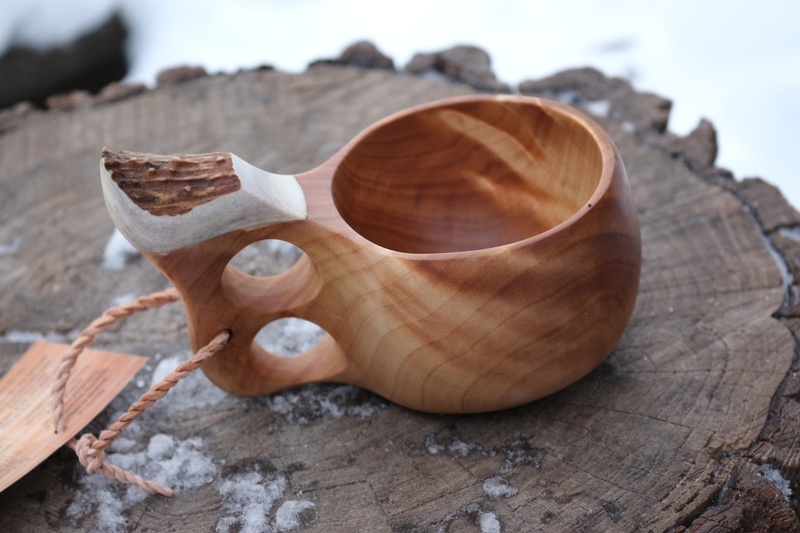 Feel free to contact us if you have any questions about the Finnish Lappland Kuksa Delux Double hole Handle .